First, let's review some basic eating habits you should incorporate into your daily routine and not just for holidays. Having a steady metabolism is key to how many calories you are able to burn. Eating a small breakfast every day can increase your metabolism by 10%, in turn, enabling you to better burn that big lunch later in the day. Did you know that protein generally requires about 25% more energy to digest? Because protein takes longer to break down than fat and carbohydrate, the body uses more energy to digest protein, and this helps you burn more calories as well. Also, diets rich in fiber help keep you full longer which is important for weight management. Let's discuss some simple tricks you can use to help you defend yourself in the battle of over indulgence. Bringing your own healthy dish to contribute to the feast will ensure you have something healthy to eat. Filling up on soups and salads prior to the main course (always avoid cream based soups and heavy salad dressing) is a great way to help you manage how much of the less healthy items you will be able to eat. Concentrate on your meal while you're eating it. Focus on chewing your food well and enjoying the smell, taste, and texture of each item. Be fully aware of each item you are consuming. If the meal will be served near your usual meal time, try to eat the same amount of carbohydrates that you normally would for a meal. If you plan to have a portion of dessert, cut back on another carbohydrate food during the main course. Make sure your portions are reasonable and resist going back for second helpings. Whether it’s a glass of red wine or a beer, holiday drinking can add a significant amount of calories to your intake. Avoid drinks that have high calorie mixers like regular soda, tonic, juice or margarita mix that are all packed with carbohydrate and calories. Try healthier versions of your favorite foods and get your family and friends on board with you. Will the casserole taste just as good with fat free or light sour cream? Can you steam green beans instead of sautéing in butter? Use a little less sugar in your fruit pie. The natural sweet of the fruit doesn’t require a lot of added sugar. Many traditional holiday foods are high in carbohydrates: mashed potatoes, sweet potatoes, stuffing, dinner rolls, and an assortment of desserts. Don't feel like you have to sample everything on the table. Have a reasonable portion of your favorites and pass on the rest. Because high carbohydrate foods are plentiful at most family feasts, watch your portion sizes. If you can't decide on one or two carbohydrate foods to eat, take in very small portions of each. Holidays are an opportunity to catch up with friends and family, but the focus on food and eating can be very tough. Have no fear, there are ways to control your carb intake and to eat healthy on this holiday. Remember, the focus is getting together with loved ones - not what's for dinner. Play games, volunteer, or spend time outdoors enjoying the weather together. One reason that we have problems managing weight during the holidays is our lack of physical activity. Sure, the holidays are busy, but plan time into each day for exercise and don’t break your routine. Make the holidays an active time! And don't forget to offer to help clean up after the meal to get you moving around! If you eat more carbs or food than you planned for, don’t think you have failed. Stop eating and focus on spending the rest of your time with the people around you. Include extra exercise and get back on track with your usual eating habits the next day. The best way to compensate for eating a little more than usual is to be active. Start a new tradition that involves taking a walk with the whole family or playing outdoor sports like volley ball or frisbee. And don't forget your veggies! Vegetables are important for everyone! Unfortunately, the vegetable selection on holiday menus is usually limited. We all want to dress up the table with tempting treats. Why not add some colorful vegetable dishes? Veggies come in all colors and are very nutritious. Offer to bring a green salad or a side of steamed veggies that have been seasoned. Non-starchy veggies are low in carbs and calories. They will help fill you up and keep you from overeating other high-calorie and high-fat foods on the table. 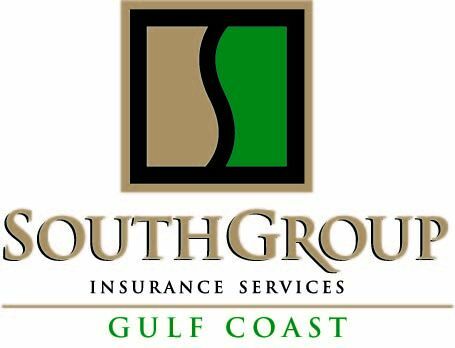 SALES AND SERVICE AGENTS: Angelyn Treutel Zeringue, Tammy Garfield, Tammy Hogue, Brittany Jones, Denise Russell, Melissa Moran, Alex Treutel, Susan Monti, Anne Gillam, Ashlie Moody, Michael Reso and Whitney Zimmerman at SouthGroup Gulf Coast. You can reach us by snail-mail or in person: 412 Hwy 90, Suite 6, Bay St Louis MS 39520, email: atreutel@southgroup.net , phone: 228-466-4498 begin_of_the_skype_highlighting 228-466-4498 FREE end_of_the_skype_highlighting , fax:888-415-8922, FaceBook www.facebook.com/southgroup.gulfcoast, or Twitter www.twitter.com/atreutel ! Help! Someone has stolen my identity!! Singing in the Rain - and Driving Safely Too ! !